Digital Music Album · DDD · 4 Tracks · Duration: 7 Min. 03 Sec. lrich Herkenhoff was born in 1966 in Osnabrueck, Germany. He had his first piano lesson at the age of six and, at 14, he first saw the pan flute in a concert given by the Rumanian, Gheorghe Zamfir. This inspired him to intensively study the instrument allowing him to eventually achieve the reputation as "the best non-Rumanian pan flute virtuoso". After studying the flute at the Richard Strauss Conservatory in Munich and subsequently the pan flute in an advanced class with Prof. Jochen Gaertner, Ulrich Herkenhoff rapidly become an internationally renowned soloist. He received special assistance from Georghe Zamfir's discoverer, the Swiss music ethnologist and publisher, Marcel Cellier, to study and promote Rumanian folklore. 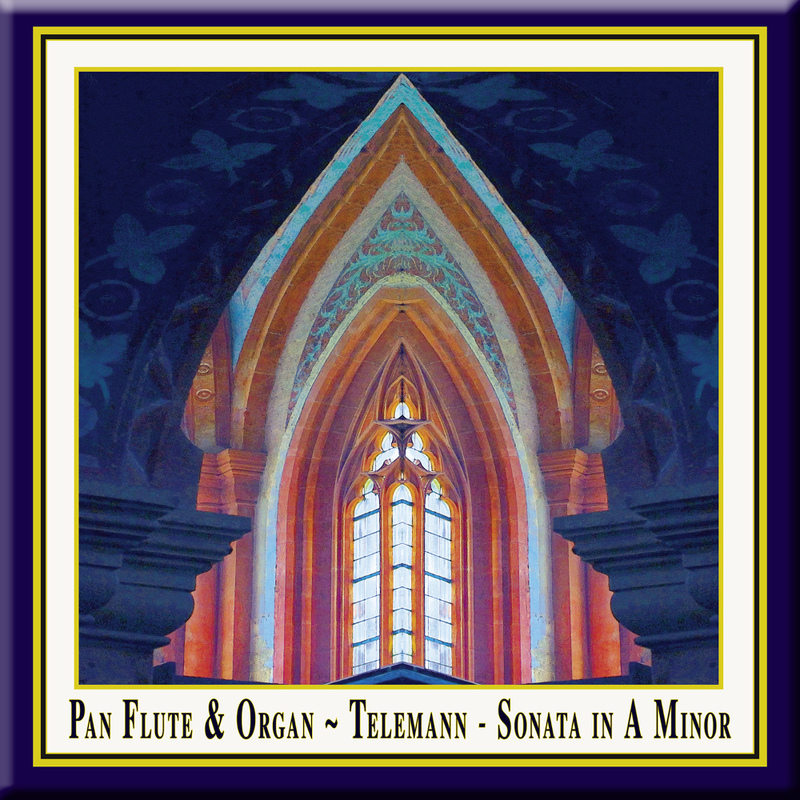 In 1990, he recorded his first CD of Rumanian improvisations with Cellier on the organ. With his interpretations of "classical" works, Ulrich Herkenhoff has inspired many contemporary composers to pen original compositions for the the pan flute. 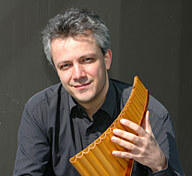 he Art of Pan is his ambitious project to see the pan flute established as a serious concert instrument. In 1992, he was honored with the Gastieg culture circle's recognition and, in 1996, with the Bavarian state's prize for young artists. In 2000, the German Phonographic Academy awarded him a much coveted Echo, the classic prize as soloist of the year. Herkenhoff has also become in demand for film music. Among the many films he has been involved with is the Oscar winning Lord of the Rings. His latest contribution was in 2004. in Budapest, performing Ennio Morricone's music for the film version of Imre Kertsz's book Fateless. Herkenhoff is also dedicated to the academic advancement of the pan flute, having published many works for the pan flute. He has made all the instruments he plays himself. lrich Herkenhoff has had a long term musical relationship with the organist and pianist, Matthias Keller. Born in 1956, Keller studied piano, church organ and music education at Munich's Music Conservatory. In addition to his artistic activities, he is also author and producer for various Radio networks (Bavaria, Hessen, North Germany etc.). As a music journalist he has been published in the Süddeutschen Zeitung, Fono Forum, Klassik Heute, Opernwelt, Münchner Abendzeitung and the Berner Zeitung. Keller teaches the History and Aesthetics of Film Music in the Munich Conservatory. Regular seminars and workshops for German television, the Goethe Institute and others have led him to such exotic places as Ghana. His personal contacts to such leading film composers as Angelo Badalamenti, John Barry, Bruce Broughton, Patrick Doyle, Elliot Goldenthal, James Newton, Howard Shore, David Raksin, Ennio Morricone, Laurence Rosenthal, Enjott Schneider, Hans Zimmer, Don Davis, John Debney, Mark Mancina, among others, has enabled him to become the best informed journalist in this area. He also has a broad knowledge in vocal, crossover and improvisational music as well as piano and organ literature. Matthias Keller is editor of the contemporary composer lexicon and jury member for the German record critics' film music prize. As of April 2000, he is a producer for Bavarian radio's classic program. Just to round off the spectrum of his musical activities, he is also an arranger and composer.